Been a while since we've had any new Old Bro's join the ranks, that all changes this month with the addition of Carl Dispenziere (EpSig 819). Please welcome him to the Old Bro Nation. That brings the OBN roster up to a total of 337 studly Old Bro's, 24 of whom are honored with the status of "In Memoriam". In addition, Mois Navon (EpSig 918) sent in an updated email address ..... mois.navon@divreinavon.com ..... please update your records accordingly. As always, if you have any contact info about an Old Bro who is currently NOT on the roster, send it in and I'll get them hooked up. Likewise, if your own contact info ever changes, drop me a note and I'll get that info updated as well. 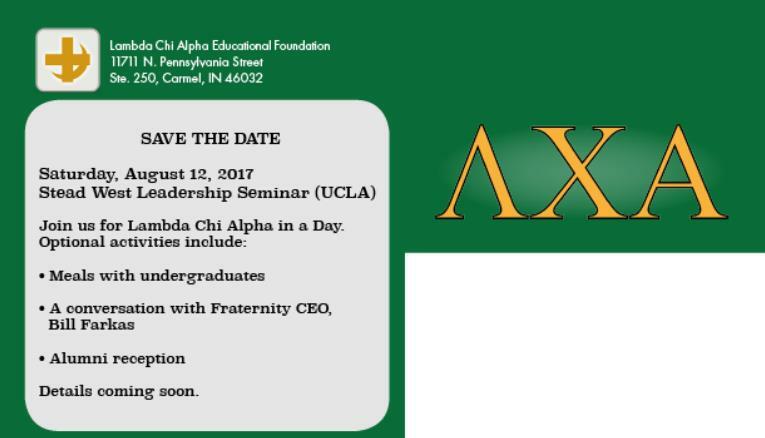 In general fraternity news, OBN has been informed that the national fraternity will be holding their annual "Stead Leadership Seminar" event AT UCLA on August 10-13, 2017. You can learn more about this event by clicking HERE. As part of the overall event, there will be activities for alumni on Saturday 8/12 including a conversation with current Lambda Chi CEO Bill Farkas as well as an alumni reception. As an alternative to rubbing elbows with those from the national fraternity, August is also the month where Old Bro's from the mid-70's era gather in Lake Tahoe to eat, drink, and be merry (something we are VERY good at). Ten days ago Brother Bill and I caught the last of the Ski Season in Heavenly. 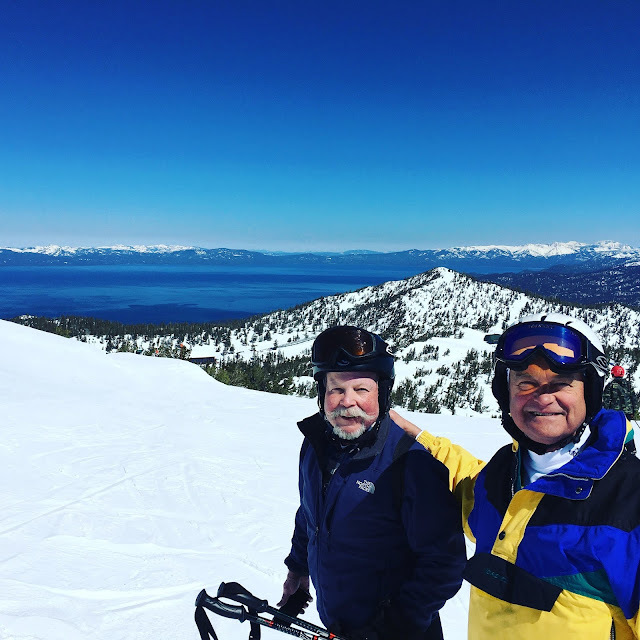 It was a great day of skiing and reminded us that: SUMMER IS COMING … Yep, time to mark your calendars for another Tahoe tumble into brotherly love and beer. August 24th - 28th is the date. "I'll be there" rumors are already creeping in for Tahoe 7.0, most of the usual characters will be there again, but we all hope to see more of you join us this summer ..... it's a great weekend of beautiful weather, great food & drink, some pretty shabby golf, and just enjoying hanging out and catching up with some of your Old Bro's.